Why haven't I thought of this before? Nowadays they have every flavor of hummus imaginable. Roasted red pepper, roasted garlic, artichoke, you name it. I have never seen green chile hummus. Maybe they have some in New Mexico, but I didn't see any when I was there. This stuff is soooo easy to make and it can be used so many different ways. I like it straight up with some pita bread. I need to find a way to make a paleo pita bread, that actually tastes good. I used hot chiles, but I found that the hummus wasn't spicy at all. Keep that in mind when you choose the heat level of your chiles. Also, I used grape seed oil because it doesn't have much flavor and I didn't want the olive oil to overshadow the green chiles. If you have any another vegetable oil use that, otherwise olive oil is just fine if it's all you have. Begin by rinsing off the chickpeas/garbanzo beans. Add them to a blender or food processor. Add a 1/4 cup of tahini. Then add a small can of diced green chiles, juice and all. Add the juice of a lime. I'm so glad I was able to include this vital photograph of a lime cut in half. 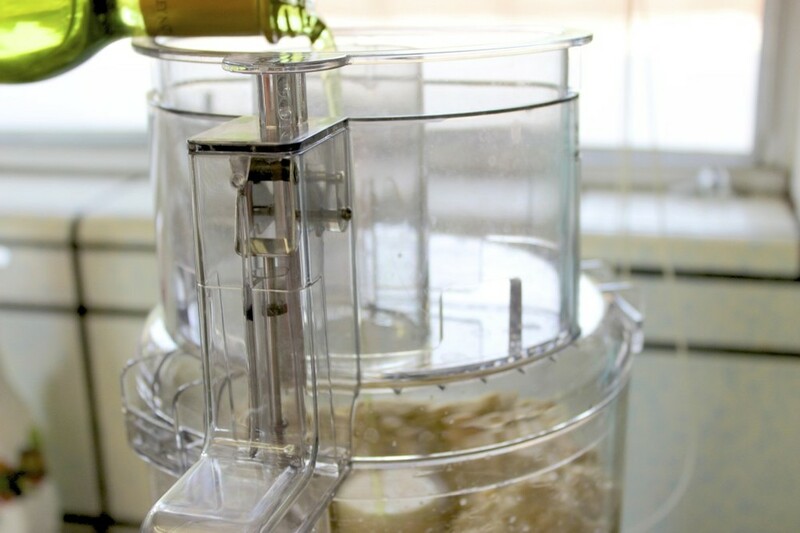 While the hummus is blending, pour the oil in until it reaches the desired consistency. Once smooth, taste and adjust seasonings. I added a bit more salt and touch more oil. It was perfecto! Oh and that dark red stuff is sumac (google it). It's a Middle Eastern spice that has a tart flavor. It's a traditional garnish for hummus and it goes well with the green chiles, but it's also totally optional. If you enjoyed this, go ahead and type your email in the box below. By doing that you subscribe to my blog and make my day all at the same time. Help me, help you.. 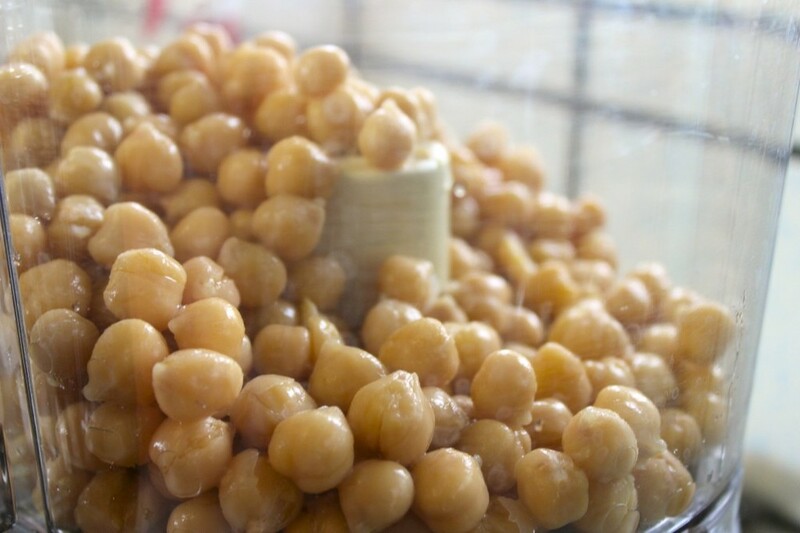 Drain and rinse chickpeas, then add them to a food processor/blender. Add the tahini and green chiles, juice and all. Squeeze the juice of the lime and add S&P to your liking. Drizzle in the oil as the ingredients are blending. 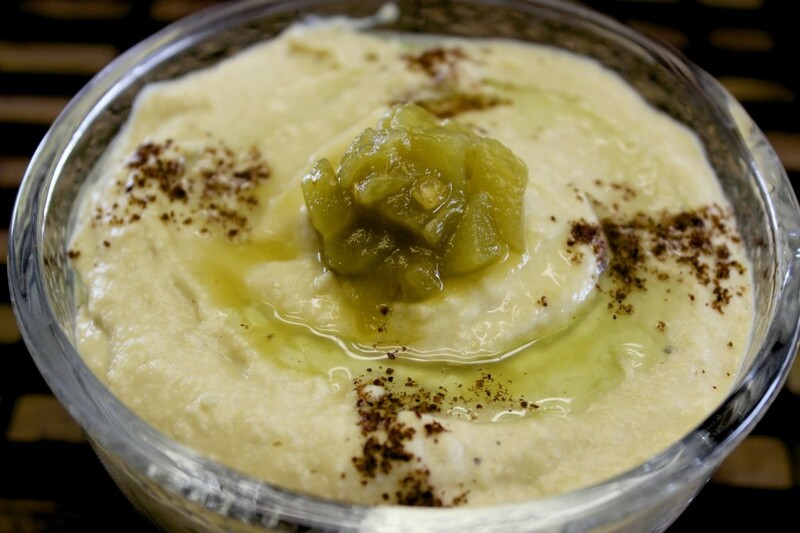 Once the hummus is as smooth as you like, taste for seasonings and adjust. I added a touch more salt and then it was perfect. This is my new favorite hummus flavor!